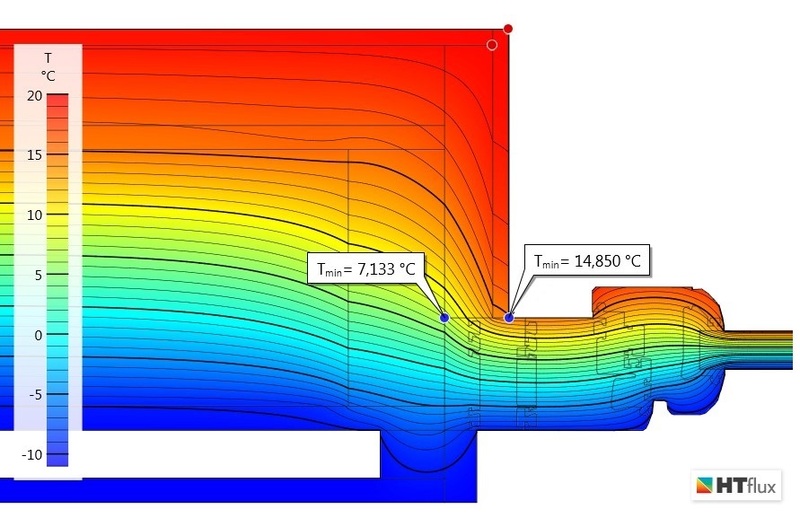 The following case shows how HTflux can help examining details that are problematic from a hygrothermal perspective. 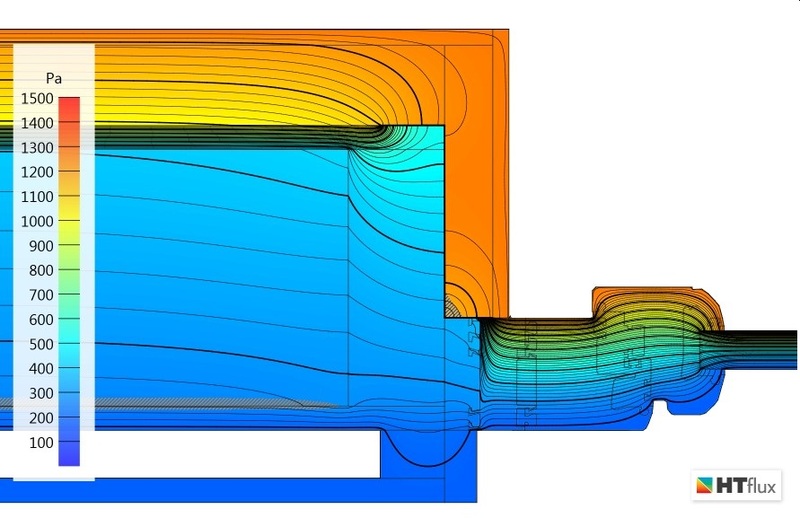 In the present example incorrect construction is causing significant mold growth. 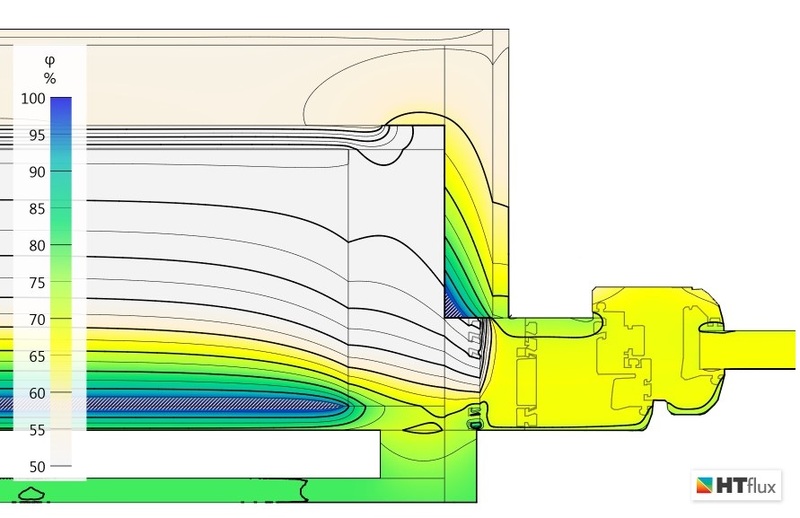 The thermal and hygrothermal simulations carried out with HTflux reveal a problematic configuration of the interior insulation and vapour barrier. 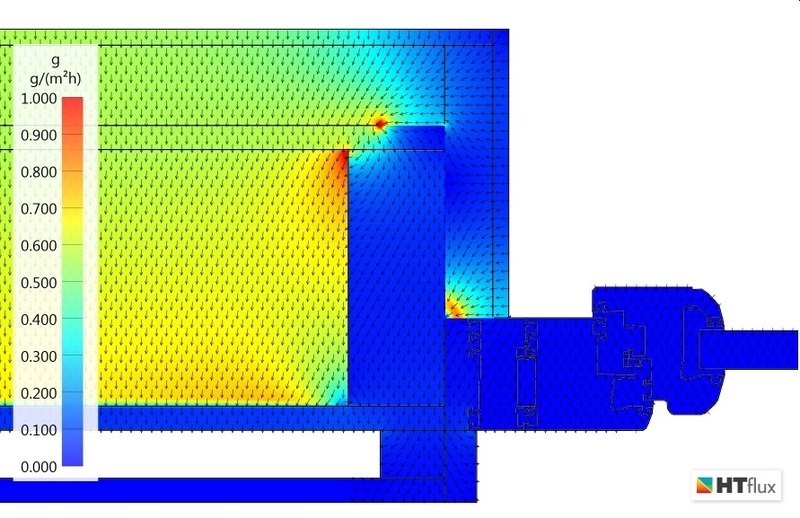 The thermal simulation already shows that the vapor barrier is installed at a location having a too low temperature. 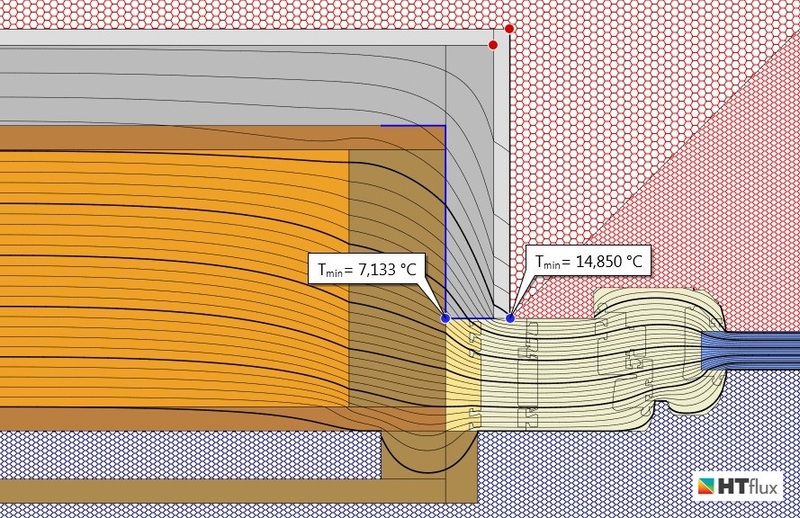 A more precise inspection using our unique Glaser-2d simulation clearly demonstrates the condensation at the surface of the vapour barrier.